At Woofinwaggle, we’re committed to helping you build and maintain a healthy lifestyle. 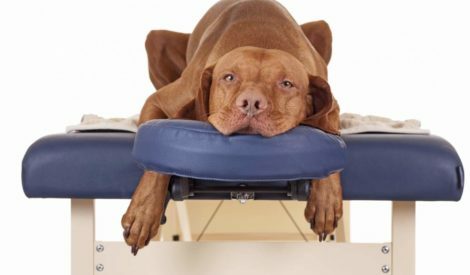 In our studio space located in North Raleigh off of Durant Road, we offer a variety of both human & canine services as well as special health services for your dogs. 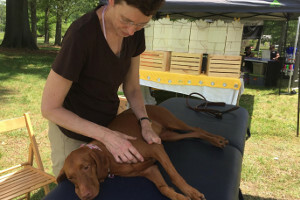 We are proud to offer massage therapy services from Mari Vogel in the Woofinwaggle studio in North Raleigh! 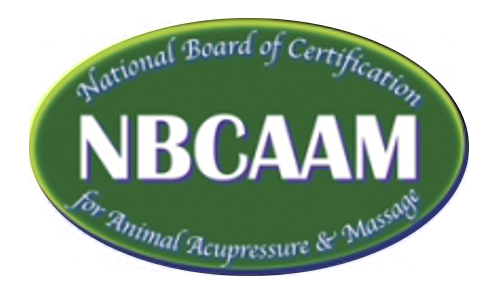 Mari Vogel is a Certified Canine Massage Therapist and Reiki Master. She provides therapeutic massage with the added of influence of Reiki. Her practice focuses on dogs that are seniors/special needs, performance dogs, injury and surgical recovery and trauma/emotional support for rescues. Massage Therapy & Certified Body Work appointments will be available every other Thursday beginning April 11 from 12-6pm! Contact us to schedule an appointment. Mari received her Bachelor degree from the University of Montana in Zoology and Microbiology and Master of Science degrees in Infectious Diseases from the London School of Tropical Medicine and the University of London. She has over 20 years of experience as a scientist in the US and Europe in the fields of human and animal health. After living in Europe for 17 years, Mari moved to North Carolina in 2005. 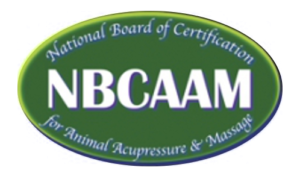 She received her Canine Massage Therapy Certification from Abundant Life Massage and Education in Sarasota, Florida and her Reiki Master Certification from Spirited Solutions Chapel Hill, North Carolina. She lives in Durham with 9 year old Shetland Sheepdog, Sydney, 4 foster failure cats and 3 Silkie chickens. In her spare time Mari enjoys hiking and training with Sydney in herding and other sports.